Here at BambooHR, we want to set people free to do great work. We created the BambooHR Marketplace with that in mind. Our marketplace gives you access to great integrations from our marketplace partners, allowing you to do even greater work. In order to help you choose the best integrations, we have categorized partners into Pro and Elite tiers. We consider a number of criteria when we choose these partners, including integration quality, popularity, and company alignment. Our Elite category features the integrations our customers use most. These integrations have the highest number of satisfied customers and a proven record of helping BambooHR customers achieve their potential. The Pro category features up-and-coming Marketplace integrations. These integrations are growing in popularity and utility, building on their track record of high customer satisfaction and adoption. TimeRewards is an advanced time and expense tracking app designed to help growing businesses streamline time and expense tracking, With a range of features including online timesheets, receipt capture, automatic reminders, approval workflow, QuickBooks integration, and more, TimeRewards is ideally suited for accountants, consultants, lawyers, government contractors, engineers and creative agencies. A 1-click invoicing process allows you to create and send professional invoices quickly and easily. You can invoice for hourly, fixed fee, recurring, phased, milestone, percentage-complete, and more. Take photos of receipts and store them in your TimeRewards. 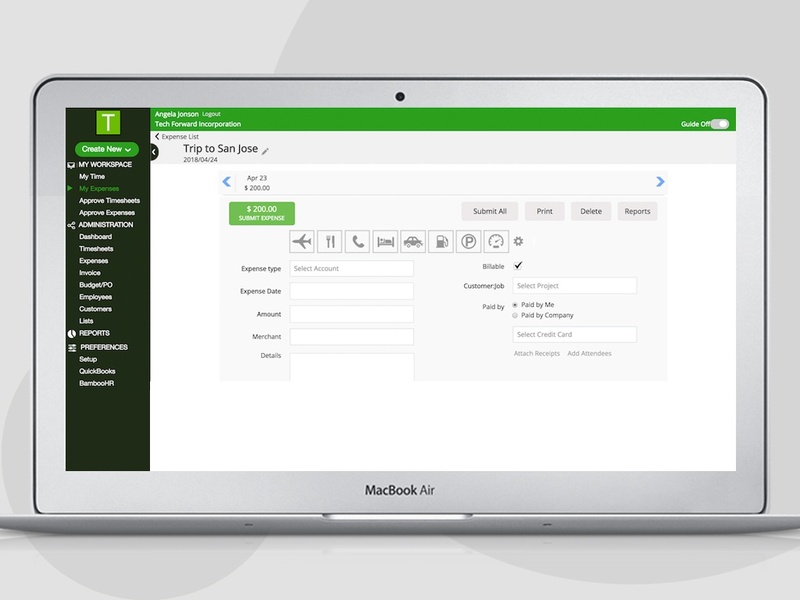 You can capture expenses in real-time from your mobile phone, setup rules and preferences to avoid expense entry mistakes, bill clients for expenses, track Mileage and more. Provide your team with the most straightforward DCAA compliant time tracking tool they’ll ever use. It is easy to get your team onboard with the simple, insightful layout and automatic reminders. 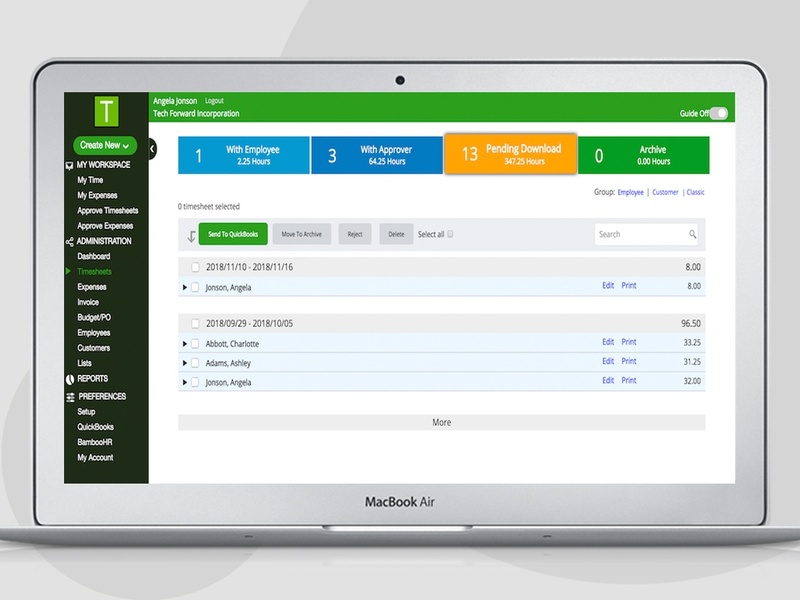 TimeRewards is customizable to work the way you do. It is accessible through your mobile phone from anywhere, anytime. You can setup rules and preferences to avoid online timesheet entry mistakes. You can track time by customer, project, task, and class. Use multiple concurrent timers for easy and effective time entries. Make your timesheet, time-off and expense approvals as simple or as complicated as you desire with approval workflow customization: you have total control! Once the TimeRewards and BambooHR integration is enabled, you will be able to import employee and Time Off information from BambooHR. 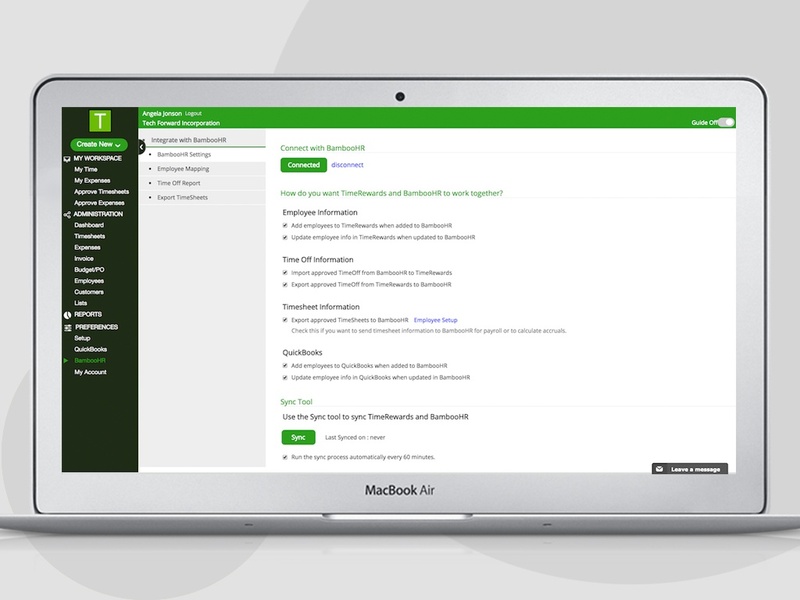 You can also send timesheet information to BambooHR for payroll or to track accruals. The sync process runs every 60 minutes and keeps everything updated from BambooHR without manual intervention. TimeRewards is the advanced time tracking app, built for those who value their time!